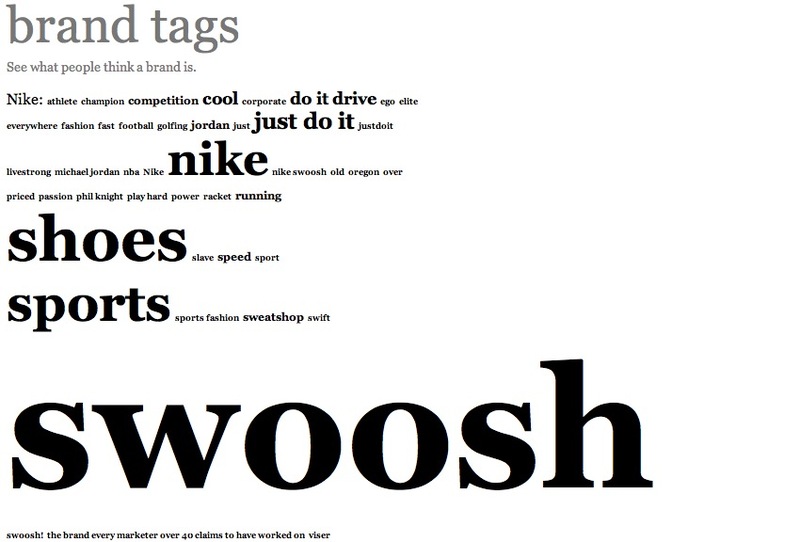 Noah Briar has launched a nice project using tags to define brands, where users enter the first word or phrase that comes to mind that they associate with that brand. Once this grows further I can see it as a barometer for a brand’s identity and with some tweaks, such as selectable time frames, a great way to track peoples changing perceptions on a brands identity. The clean simple design is dominated by the perfect-for-this-application tag cloud that brings the most popular terms associated wit hte brand to the fore. Obviously Nike has got the swoosh associated with them in our collective mind.